The Robert Wood Johnson Foundation (RWJF) Culture of Health Prize (the Prize) recognizes communities that have come together around a commitment to health, opportunity, and equity through collaboration and inclusion, especially with historically marginalized populations and those facing the greatest barriers to good health. The Prize honors those communities that are working to give everyone the opportunity to live well, including residents that are often left behind. A Culture of Health recognizes that where we live—our access to affordable and stable homes, quality schools, reliable transportation—make a difference in our opportunities to thrive, and ultimately all of this profoundly affects our health and well-being. The Prize elevates the compelling stories of community members who are working together to transform neighborhoods, schools, businesses, and more—so that better health flourishes everywhere, for everyone. There are characteristics shared by communities that catalyze and sustain positive change. Because the Prize recognizes whole communities, applicants must think beyond their own individual organizations and initiatives to what has been accomplished across the community. Applications will be judged based on the criteria below. Defining health in the broadest possible terms. Committing to sustainable systems changes and policy oriented long-term solutions. Creating conditions that give everyone a fair and just opportunity to reach their best possible health. Harnessing the collective power of leaders, partners, and community members. Securing and making the most of available resources. Measuring and sharing progress and results. Building a Culture of Health means using comprehensive strategies to address the many things that contribute to health, opportunity and equity in our communities. This includes acting across multiple areas that influence health, such as the factors in the County Health Rankings model: health behaviors, clinical care, social and economic factors, and the physical environment. Given the importance of social and economic factors in influencing health outcomes, strategies addressing education, employment/income, family and social support, and community safety are considered crucial elements to achieving a Culture of Health. Building a Culture of Health means making thoughtful, data-informed, policy, programmatic, and systems changes that are designed to last. This involves having a strategic approach to problem-solving that recognizes the value of evidence and the promise of innovation. Communities are encouraged to demonstrate how residents, leaders, and organizations are collectively identifying priorities and taking coordinated action to implement sustainable solutions to the health and equity challenges they face. what actions they are taking to remove obstacles and increase opportunities for all to be healthy. Building a Culture of Health means individuals and organizations across sectors and disciplines are all working together to provide everyone with the opportunity for better health. This includes building diverse and robust partnerships across business, government, residents, and nonprofit organizations, and fostering leadership skills and capacity among all community members. continuously communicating about community improvement efforts. Building a Culture of Health means adopting an enterprising spirit toward community improvement. This includes critically examining existing and potential resources to maximize value, with a focus on leveraging existing assets; prioritizing upstream investments that address social and economic factors that influence health; making equitable decisions about how to invest resources; and cultivating a strong belief that everyone in the community can be a force to improve the community so that all people can live their healthiest lives possible. Communities are encouraged to demonstrate how they are creatively approaching the generation, allocation, and alignment of diverse financial and non-financial resources to improve the community’s health and well-being. continuously using data to improve processes, track outcomes, and change course when necessary. Communities are encouraged to demonstrate how they are developing systems for collecting and sharing information, determining impacts across efforts, and communicating and celebrating successes when goals are achieved. What is the Culture of Health Prize? Learn about the Prize and the types of community transformations we're looking for. At RWJF, building a Culture of Health has become the central aim of what we do, with a goal of giving every person across the nation an opportunity to live the healthiest life possible. Communities are already leading the way to drive local change, and ensuring all residents have an opportunity to make healthy choices in their schools, workplaces and neighborhoods. 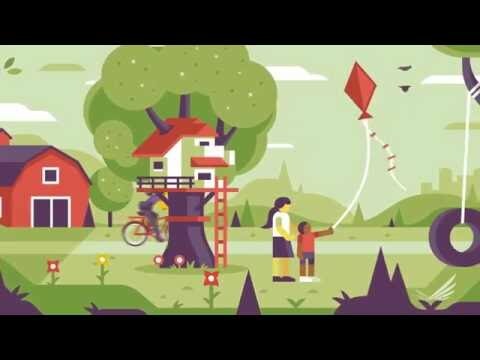 The RWJF Culture of Health Prize, a collaboration between RWJF and the University of Wisconsin Population Health Institute, is the Foundation's way of honoring communities—urban, rural, tribal, large or small—that are beacons of hope and progress for healthier people, families, and places. Watch a recording of the 2019 RWJF Culture of Health Prize Call for Applications informational webinar. A diverse committee of 15 members from all backgrounds and sectors committed to building healthy communities, the RWJF Culture of Health Prize Advisory Group informs the program’s direction and priorities. The Robert Wood Johnson Foundation recognizes five new advisory group members. The Robert Wood Johnson Foundation recognizes five new members joining the RWJF Culture of Health Prize National Advisory Group. Bettina Byrd-Giles, MA.Ed, CEO, The Bethesda Life Center, Inc.
Joe Reardon, JD, president and CEO, Greater Kansas City Chamber of Commerce and former Mayor of Unified Government of Wyandotte County/Kansas City, Kan. The RWJF Culture of Health Prize honors and elevates U.S. communities that are making great strides in their journey toward better health. The RWJF Culture of Health Prize honors U.S. communities; submissions representing the work of a single organization will not be considered. With the exception of previous Prize winners and 2018 finalists, all past applicants are eligible to reapply for 2019 (2018 finalists may reapply in 2020). Meet the definition of a community. Provide primary and alternate contact people for your application, preferably from two different organizations. Designate a local U.S. governmental entity or tax exempt public charity operating in its community to accept the $25,000 Prize on the community’s behalf, should they win. * Communities within U.S. territories are welcome to apply. Communities in places that may have unique governance structures (such as U.S. territories, Alaska, and Hawaii) should contact the Prize program with eligibility questions well in advance of the application deadline. Neighborhoods and states are not eligible to apply. Community partners can decide together how to use the funds to benefit the community; budget reports on Prize expenditures are not required. Through the RWJF Culture of Health Prize application process, a community comes together to tell their inspiring stories of collaboration, action, and results. Communities should understand they are applying for a prize and not a grant. The Prize recognizes work that has already been accomplished so there is no required workplan or budget. To be competitive, it is imperative that Prize applicants keep a community-wide focus in mind through all phases of the competition. How the community’s health improvement journey began (such as an event, opportunity, or decision). 2. Showcase four accomplishments—specific policies, programs, or strategies—that best reflect your community’s response to identified needs and progress toward better health, including how accomplishments address challenges and how they may impact certain geographic areas or populations in the community. Build on their Phase I essay with additional information about community improvement efforts and how they are meeting all six Prize criteria. Prepare a four-minute community video featuring the voices and perspectives of residents and leaders involved in the community's work. Draft a site visit itinerary to give judges a sense of what they might see and who they might meet should their community be selected as a finalist. Designate a local governmental entity or U.S. tax exempt public charity operating within the community to accept the $25,000 Prize on the community's behalf, should their community win. Up to 16 Phase II applicants will advance as finalists in the competition and be invited to host a site visit. Detailed guidance will be provided to communities invited to advance in the competition. Phase I Applications (for all applicant communities) due. Invitations extended to select applicant communities to submit Phase II Applications. Phase II Applications (for invited communities) due. Invitations extended to finalist communities to participate in a site visit. Site visits with finalist communities. National announcement of winners and celebration and learning event. Engage in opportunities to build knowledge with other national and community leaders working to build a Culture of Health, including past Prize winners through the Prize Alumni Network.